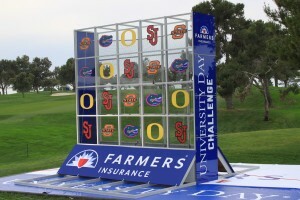 For the 2nd year in a row, Expo Outfitters designed and built the glass wall for the Farmers Insurance Open University Challenge. One by one, the panes of glass fell. 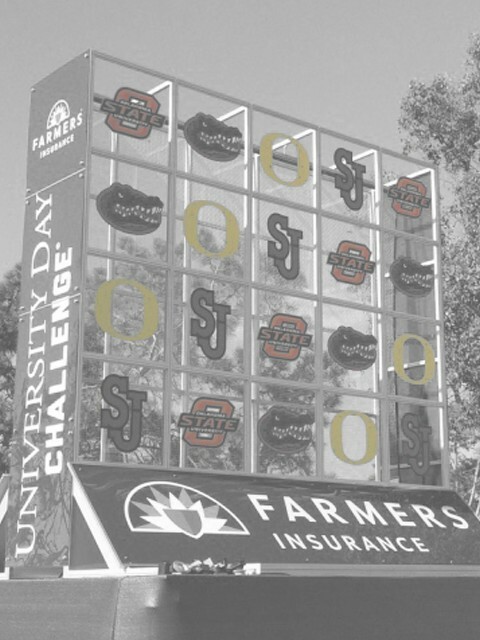 With one final dead center shot, Keegan Bradley managed to knock out his opponent, University of Oregon’s Ben Crane to earn $10,000 for his alma mater, St John’s University. Click here to watch the action!